Renovating your home can be a fun project, but one that must be properly planned to ensure the best outcome. The kitchen happens to be a central part of the home, and one that dictates the tone for your place. Whether you plan on raising a gaggle of children or hosting grand parties, the kitchen will likely be utilized on a regular basis. As such, it’s important to find the best methods for breathing new life into your space without breaking the bank. 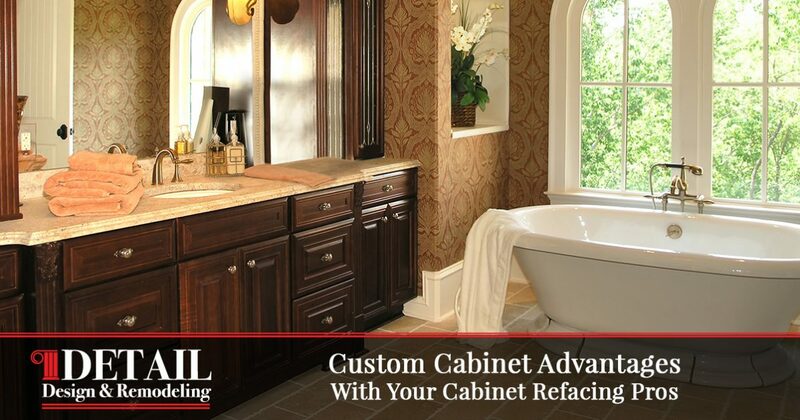 Detail Design & Remodeling is here to serve as your go-to source for quality cabinet refacing in Atlanta and Dunwoody. Our home remodeling contractors specialize in kitchen cabinet resurfacing, delivering results that are as beautiful as they are cost-effective. Beyond cabinet refinishing, our experts also specialize in crafting custom cabinets to deliver the absolute best products to our customers. While you may have never considered customizing the cabinets in your kitchen, the potential for making quality changes encourages us to enlighten customers wherever we go. Today, we’ll take a look at a few custom cabinet ideas that may optimize your space beyond your highest hopes. When ready, be sure to contact our experts to receive a quote on your project! The devices that hold your cabinet together can benefit from major upgrades. Your cabinet hardware consists of hinges, knobs, and pulls, with each device offering quality improvements for a personalized look. The style and design of your knobs, for example, can go far in dictating the mood of the kitchen. Everything involved with knobs can be changed for greater effect, including the shapes themselves. If your cabinets constantly clatter or shake, upgrading the hinges can prove to be very beneficial. Some cabinets are heavier, requiring more momentum to close. Once the door slams, though, your fine china or other glassware will begin to shake. Soft-close hinges rely on technology that prevents slamming, instead closing most of the way and slowly shutting to finish. Customizing your cabinets provides the perfect time to optimize the island that stands idly in the center of the kitchen. The style designs for islands are nearly endless, falling on the homeowner to choose the colors and layout. Now might be the perfect time to implement a different color scheme to pop with the rest of the cabinets. The base of your island can be customized to create ideal solutions for your home as well. If you want to better enjoy your meals at this versatile spot, you can shrink the cabinet space to allow for more leg room. Essentially, the size and shape are entirely customizable to best match your unique needs. Detail Design & Remodeling is here to help with design, fabrication, and installation. When the dust settles, you will be left with an island that is optimally functional and great to look at. Every home is different, and the unique layout of your home can create great opportunities and headaches in your kitchen. Some homeowners may struggle with being able to fit their dishware into the cabinetry, questing endlessly to create a seamless system for holding drinking glasses, plates, and more. Our home remodeling contractors can work to design a plan that includes increasing the depths of your cabinets. We can work to expand the depth while minimizing the intrusion upon your floor space. If you have a large family and little storage space in the kitchen, this service may be perfect for you! Modern technology has changed how people spend their time in the kitchen. From tablets to smartphones, the gear in your home will eventually need charging. In-home sound systems will also have a batch of wires that can be both unsightly and unsafe. Our kitchen cabinet refacing can expand to custom additions here, implementing charging stations and wire-hiders to create a smooth, seamless kitchen that isn’t bogged down with tangled wires. When it comes to custom cabinet fabricating, the only real limiting factor is your imagination! Our cabinet resurfacing experts have the expertise to expand into design, fabrication, and installation in all parts of the kitchen to create a truly remarkable outcome. 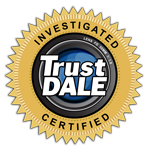 We strive to provide quality cabinet refacing to Atlanta and beyond, delivering results that aim to exceed your high expectations. Your kitchen is your space, and we’re here to make it ideal for your family. Contact us today to learn more or to receive a quote!